At least 130 people, the majority Fulani herders, were massacred in central Mali on Saturday in the deadliest single recent attack in a region where ethnic and jihadist violence is escalating. A government delegation is reportedly on its way to the village. The attack was launched on the Fulani village of Ogossagou in the region of Bankass, close to the border with Burkina Faso. The victims were shot or hacked to death with machetes, said a security source. "At least 134 civilians, including women and children, have been killed and at least 55 injured," UN Secretary-General Antonio Guterres announced in a communiqué Saturday evening. The massacre took place just as a delegation from the UN Security Council visited the Sahel region to assess the jihadist threat there. There have been sporadic clashes between nomadic Fulani herders and the Dogon ethnic group over access to land and water for many years. But since 2014 jihadist fighters in the area have been fomenting further violence. 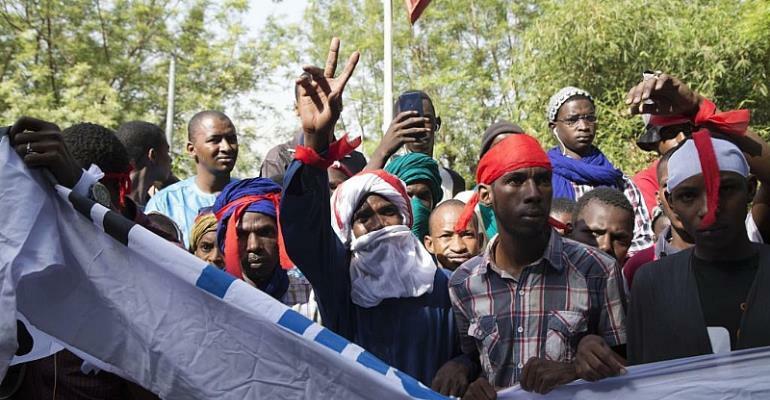 A group led by radical Islamist preacher Amadou Koufa has recruited mainly from the Muslim Fulani community leading to an increase in inter-ethnic violence. And last year, 500 civilians died in similar clashes, according to United Nations figures. For Baba Dakono, researcher at Bamako-based Institut d'etudes et de securité, the increasing tension in the region since 2014 is partly due to a weak state but also easy access to weapons. The Fulani have repeatedly called for more protection from local authorities. But the government in Bamako has denied their accusations that it turns a blind eye to - or even encourages - Dogon attacks on the Fulani. Dakono says the army is present in the region from time to time and carries out occasional patrols but the army cannot even protect itself. “The army itself is being targeted by these attacks so it's much more preoccupied [...] in protecting itself against the [jihadist] threat. Dakono says the country lacks the means to carry out investigations and make arrests in these type of attacks.